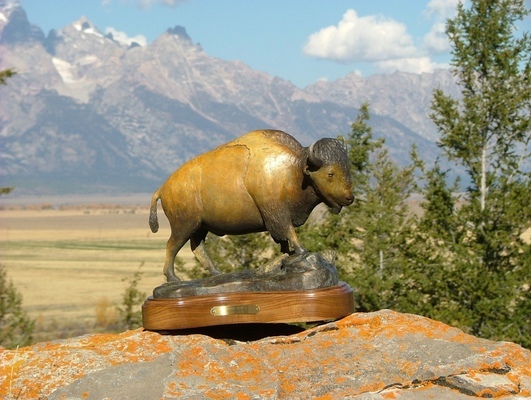 April, 2005: Matt's bronze buffalo sculpture, "Majestic Wanderer", was selected as the official "Sister City Gift" from Jackson, Wyoming to Lienz, Austria. We were honored and humbled as Jackson Mayor Mark Barron presented the sculpture to Lienz Mayor Dr. Johannes Hibler in April. It was a very moving experience, and exciting to think of the sculpture on display in the Lienz Mayor's office in City Hall. It is also exciting to have our art represented internationally.